Discover why so many are choosing Weatherford as the ideal place to live, work and raise a family. It's a town that's as close to the big city as you need it to be; yet as far away from it all as you want it to be. It's a town where people still smile at each other and wave as they pass by. It's a town where kids can still play in the streets and set up "lemonade stands" to beat the summer heat. 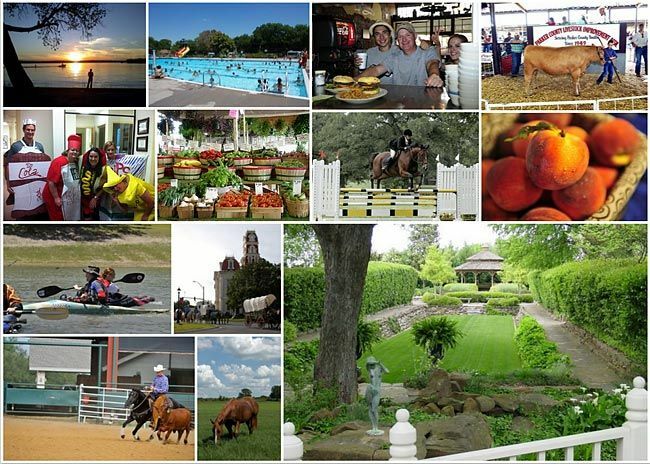 Weatherford is known for its community and family-oriented way of life that makes it one of the premier places to live in the north Texas area. Residents share a vision for Weatherford that balances its rich, western and pioneer heritage with progress and economic vitality. That's why our motto is "Growing with Tradition." With a City population of 30,654 and a County population of 133,463. Located just 20 minutes west of downtown Fort Worth, Weatherford has easy access to major transportation corridors. Interstate I-20 is within the city limits, and the split to I-30 is only minutes east of town. Other highways that run through town are US Hwy 80-180 and State Hwy 171/51. Weatherford is only 52 miles from DFW Airport. 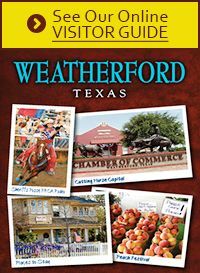 For complete information, you can purchase a Relocation Package that contains our "Weatherford Welcomes You" newcomer guide magazine and all the information you need to make your transition as smooth as possible.